Google's investments over the years have pushed the company's foot through many a door. However, its latest venture still comes as quite a surprise. The Internet tech-firm is now producing beer. 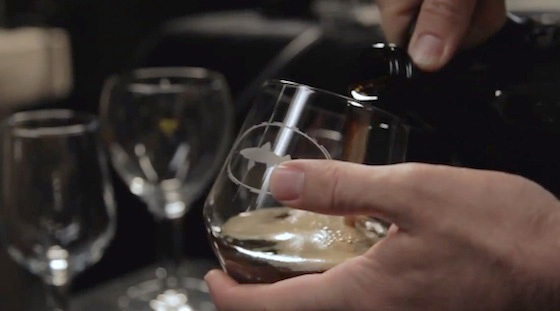 Google has joined forces with brewer Dogfish Head to produce a Belgian Dubbel beer called Urkontinent. While the brewing company came with the knowledge, Google came with a list of recommend ingredients and chipped in with some honey from its very own Californian beehives. Other ingredients, sourced from every curved-corner of the Earth include wattleseed from Australia, amaranth from South America, rooibos from Africa and myrica gale from Europe. Dogfish describes the beer as "hearty, with notes of coffee and chocolate covered cherries". It also packs quite a kick, with an alcohol content twice that of normal beer. Urkontinent landed at Dogfish's brewpub in the US last week and will keep being pulled until the taps run dry. If successful, it could see wider distribution. With the help of Google, punters could look for pub, find their way there, invite friends along and even get rat-arsed on its booze. What's next, G+ painkillers and other morning-after pills? For the full story behind Urkontinent beer, check out the clip below. According to a Google spokesperson, the whole shebang was merely a bit of fun from "a group of craftbrewery aficionados across the company". Don't get your hopes up yet, Google has no plans to branch out into the beer business and isn't receiving any proceeds from the sale of the drink. It's all just a bit of a marketing gimmick.